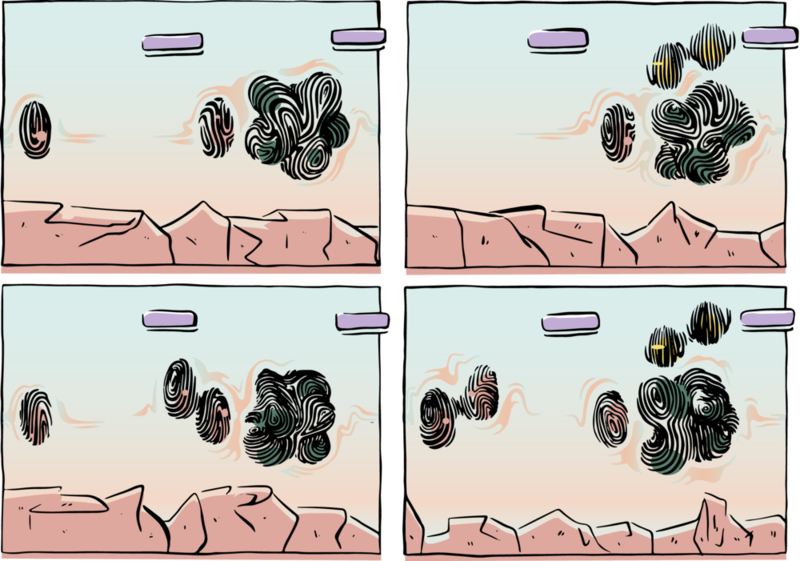 Gobi is an abstract comic based on a musical score composed by Jope Sound, the comic explores the relationship between sound and sequential art by attempting to instinctively visualise the musical score. The comic is designed as a concertina publication that can be read along whilst listening to the soundtrack. Gobi is one of two products of a series of research projects based around the theme of visualising sound. The research explored themes of; understanding the basic formulas for reading and designing sequential art, exploring the possible effects abstraction can have on graphic narrative theories and concluding psychological hypotheses about the intuitive connections between instrumental music and abstract visuals.